AWPs (Aerial Work Platforms) & PITs (Powered Industrial Trucks). 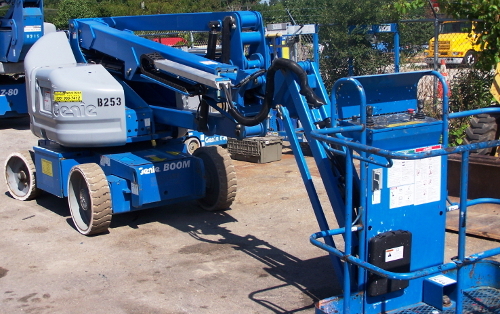 This includes scissor lifts, boom lifts, manual lifts and forklifts. 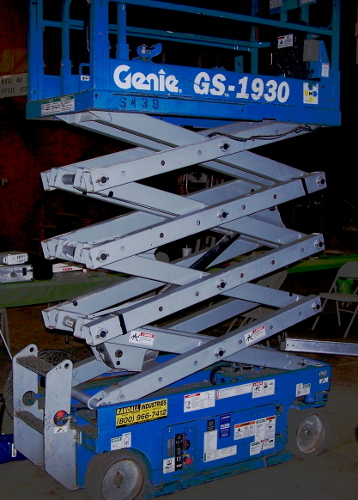 Safety Training Services will conduct operator safety training (OST) or refresher safety training (RST) required by ANSI Standards A92.3, A92.5, and A92.6, to persons engaged in the operation, use and maintenance of self-propelled scissor lifts and/or boom-supported elevating work platforms lifts (telescoping or articulating) electrically powered or by internal combustion engine. The purpose, use & location of manuals. Proper storage of maintenance & operating manuals. A pre-start inspection of the AWP (8.3). Workplace inspection prior to operating the AWP. Responsibilities associated with problems or malfunctions affecting operation of the AWP (8.4). The purpose of placards & decals. Authorization to operate the AWP. Identification of hazards associated with operation of the AWP. Demonstration of proficiency in the operation of the AWP. Plus specific activities in which operators would encounter within their work place requirement regarding the operation of the fork truck. 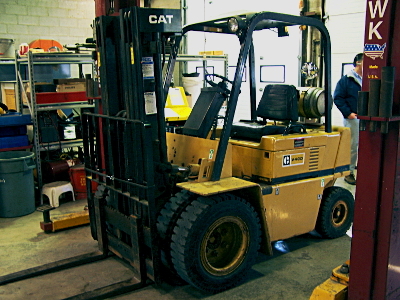 NOTE: Skid Steer and Rough Terrain Forklift operator training is not included in this training program (per OSHA requirements) and are treated as separate training instruction courses. Provide professional instruction/training – for operators that is consistent with the applicable OSHA/ANSI standards. This is “operator training” NOT simply a ½ hour tool-box talk or “equipment familiarization” that is passed off as training by some. This program will provide the necessary training requirements to advance jobsite workers/staff/employees to “Qualified Person” status as required by OSHA/ANSI. Multimedia presentation to keep participants ENGAGED. Accident cause & effect analysis to keep participants LEARNING and UNDERSTANDING. Certificates and IDs list the standards trained on to keep participant and employer INFORMED of their skill set. Training records are maintained electronically beyond ANSI 4 year requirements. This operator status will be validated by the issuance, with successful course completion, a course completion certificate and photo ID wallet card by Safety Training Services, and is valid for 3 years. In today's fast-paced work enviornment, we offer efficient, professional, and expedient training for your aerial equipment operators. 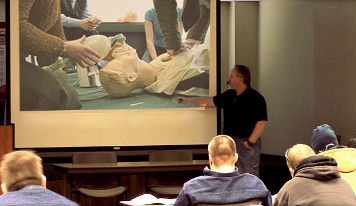 Approximately (4) hours is required to administer the operator safety training, however class size and operator’s skill set do have an effect on the course duration. Though, there are no specific prerequisites, trainees must have a working knowledge of the equipment being operated. Those attending this training course will receive a student workbook, and photo ID; that will be awarded to the student upon successful completion of the training course.